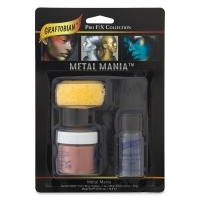 Create dramatic metallic effects with Graftobian Metal Mania Cosmetic Powdered Metal Kits. This popular metallic makeup is safe, easy to apply, and yields stunning results. 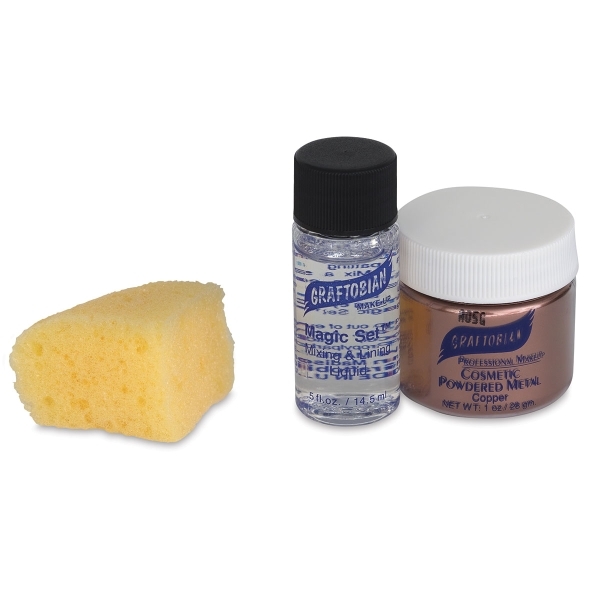 Once dry, it's totally opaque and durable — it won't rub off. Choose Copper, Gold, or Silver. ™ Metal Mania is a trademark. ™ Magic Set is a trademark.